How Was This Week's Taped WWE SmackDown Viewership Following Last Week's Year Low? This week's WWE SmackDown, featuring Shinsuke Nakamura defeating WWE Champion AJ Styles in a non-title main event, drew 2.298 million viewers. This is up a bit from last week's 2.293 million viewers, which was the lowest SmackDown viewership going back to the Halloween 2017 episode, which drew 2.119 million viewers. The last non-holiday SmackDown episode to draw lower than last week was the June 13th, 2017 episode, which drew 2.072 million viewers. This week's SmackDown was a taped show from London, England. 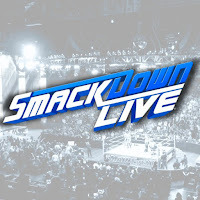 SmackDown was #8 in viewership for the night on cable, behind the NBA Playoffs, SportsCenter, NBA Draft Lottery, Hannity, Rachel Maddow, Tucker Carlson and The Ingraham Angle. SmackDown was #4 in the 18-49 demographic, behind the NBA Playoffs, SportsCenter and the NBA Draft Lottery. The NBA Playoffs topped the night with more than 8 million viewers. In comparison, Monday's RAW drew 2.741 million viewers, up from last week's 2.689 million viewers.